David McNabb Pallet Mfg. Inc. - David McNabb Pallet Mfg. Inc.
David McNabb Pallet Mfg. Inc. has a reputation for quality and reliability built on more than 40 years of manufacturing pallets for industrial use. During those years we have expanded and upgraded our facilities to meet the needs of our customers and provide better service. 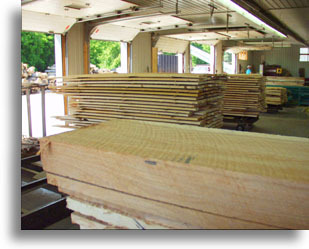 These improvements have allowed us to broaden our product base to include a wide variety of wood products in custom and standard configurations. Flexiblity of scheduling and production is another feature of our operation to provide product you need at the time you need it. 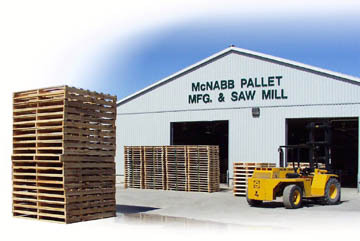 David McNabb Pallet Mfg. 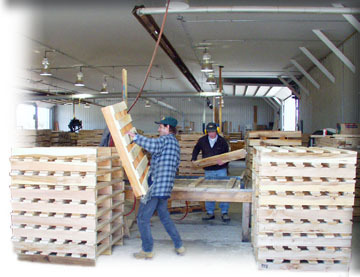 Inc. is a member of the Canadian Wood Pallet and Container Association.